Plume and Furrow is a collective of flower enthusiasts and kindred spirits that love nature, creating, and the intersection of the two. We are farmers and designers, skilled and industrious, and passionate for propagating beauty. We strive to grow an abundance of flowers in an immense variety of colors, shapes, and textures, from April through November. Our fields provide the flowers and fillers used in our arrangements. Because we grow the majority of the flowers used, we can assure you that the quality and variety of our flower selection is unmatched. We are endlessly grateful to call the Lyons Farmette our home, and it is from this joyful place that we are able to share our flowers with you. all photography provided by Ryan Muglia, unless noted otherwise. Kim feels that she is able to best communicate through color. She feels incredibly lucky to use flowers as her medium. She loves nothing more than making a couple’s vision come to fruition. When she is not surrounded by beautiful blooms, you can find her hiking in the Colorado mountains with Grant and their dog, Rosemary; obsessing over their cat, Squid; swimming in the St. Vrain River; cooking; or beading intricate jewelry for one of her mentors, Julie Powell. Grant is a gentle tender of living things, great and small. The plants that he grows appreciate the love that he puts into them. He is thankful to be able to see their entire life-cycle, from seed or tuber, to flower, to arrangement, to the compost pile, and back. He enjoys quiet time in the woods, live music of all varieties, and spending time with his beehives. Lauren is a woman of many talents. In addition to designing for Plume & Furrow, she is also a wedding coordinator for Dahlia Events & Designs. She lives in Lyons with her husband, three dogs, and eight chickens. She can whip up a mean stained glass piece and you’d be hard-pressed to find anyone sweeter. Garrison is truly a jack-of-all trades. He is a brilliant problem solver and can fix just about anything. His calm spirit is a welcome balance to a sometimes high-intensity industry. He is happy to be able to combine his love for nature and music with his band, Dub Haiku. Proprietors of The Lyons Farmette and River Bend. 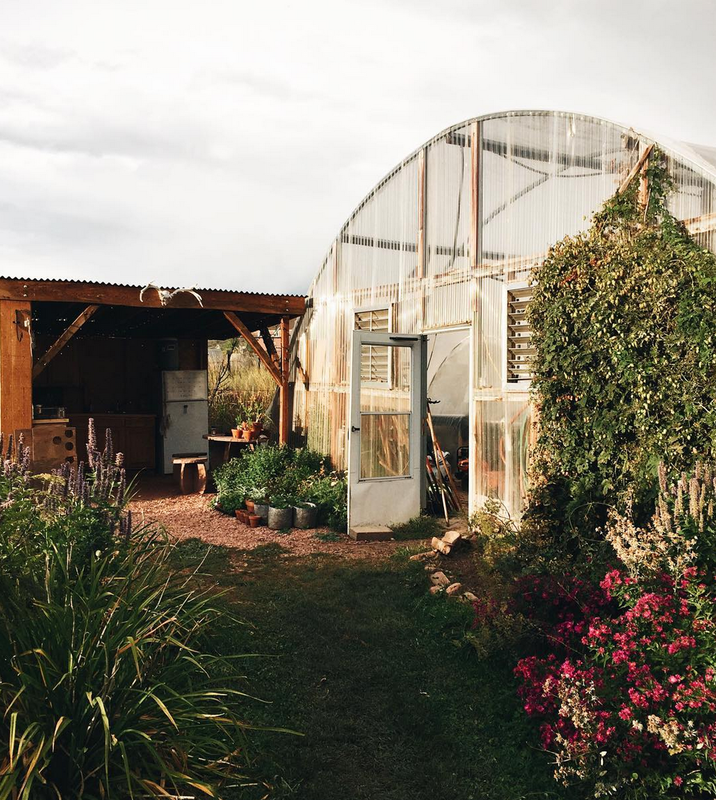 The Lyons Farmette is a working organic farm and education center with a mission to support and empower the local farm community through classes, workshops, and farm dinners. It is also host to beautiful weddings, events, and fundraisers throughout the summer season. Started by longtime Colorado residents Mike Whipp and Betsy Burton, the Farmette strives to be a center of passion for arts, animals, food, and flowers. In addition to hosting Plume and Furrow, a cut flower farm and design studio, the Farmette also boasts a flock of egg-laying hens, adorable baby goats, multiple beehives, and a classroom for community learning and fellowship.